Did you know that paracord has not only been taken into space, but has been used to repair spacecraft? "Hubble Servicing Mission 2" in 1997 involved using a couple of unconventional fixes. Repair materials included: teflon insulation with velcro, paracord, copper wire, and plastic ties. Good thing those astronauts wore their survival bracelet on the outside of their spacesuit… okay, maybe that's not how it happened. We've got some out-of-this-world updates to share with you this fall! It's been a great summer, and many of you are already starting to plan your winter projects. Take a look at all that's in store for the next couple of months. Also, TELL US WHAT TUTORIALS YOU WOULD LIKE US TO MAKE in the future. We want to know how we can best serve our paracording community. Our first updates are literally in store. We have a slew of new products that have just landed, with more on the way! 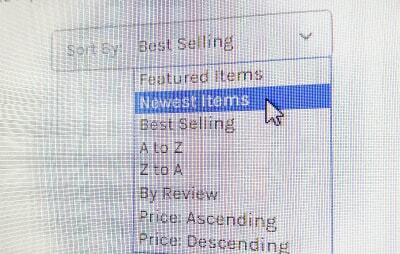 If you want to browse our newest products, go to your category of interest, click the arrow on the far-right side next to "Best Selling", and change it to "Newest Items". Check out our list of new crafting books. We have books for paracord crafting, macramé, plastic lacing, hemp jewelry, and more. We have so many new crafting cords that we can't even begin list all of them here! New cord includes macramé cord, coiling cord, plastic lacing, natural hemp, and many others! Check if we have what you are looking for. If we don't carry the variety that you want, we want to know about it! We're also expanding our variety of crafting tools. We now carry things like beading tools, and pins. Our job is to keep you crafting! New Hardware Alert! We've got carabiners running out of our ears! Some are in the store now, and more are on the way. 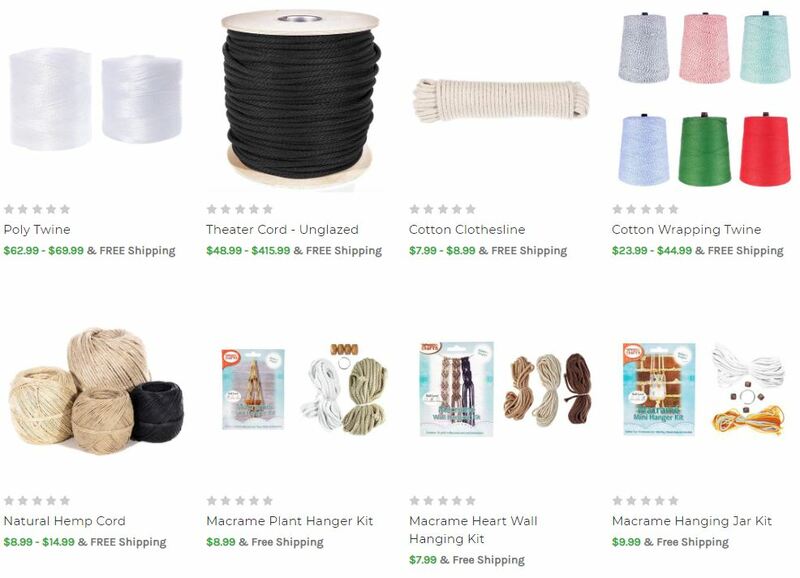 We want to be your one-stop-shop for everything macramé! 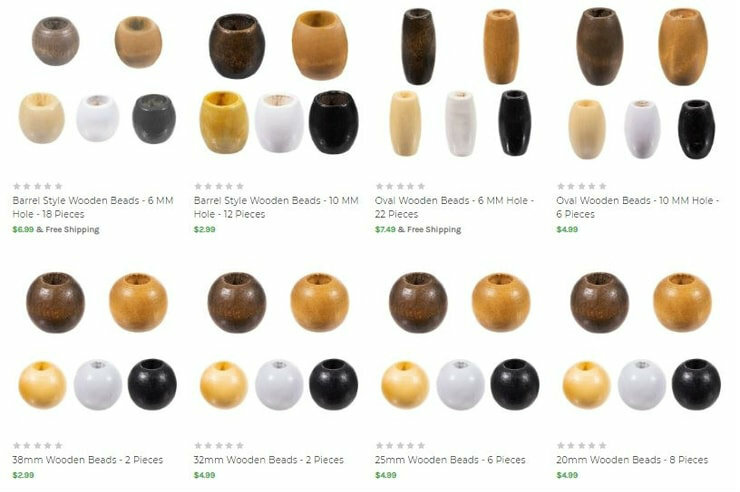 We've just introduced a bunch of new wooden beads in a variety of finishes. No matter what your macramé project is, we've got you covered. If paracord is your thing, don't worry! 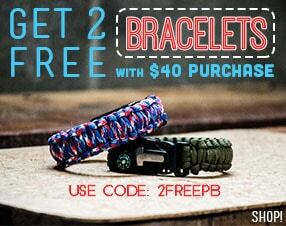 We still provide quality paracord at the lowest prices. 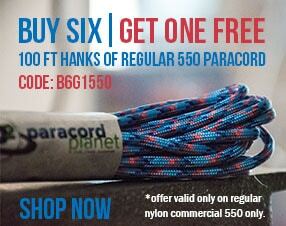 We are now more dedicated than ever to everything paracord. If you haven't yet noticed, we are back at it on YouTube! We will be posting tutorial videos once a week, so subscribe to our channel to stay updated! We are also back to regularly publishing step-by-step printable tutorials. If you like the pace of a printable step-by-step, take a look at our newly designed photo tutorials page. We've added categories to make finding the right tutorial easier than ever. Stay on the lookout, our tutorial library is always expanding! New tutorials will show up at the top of the list. 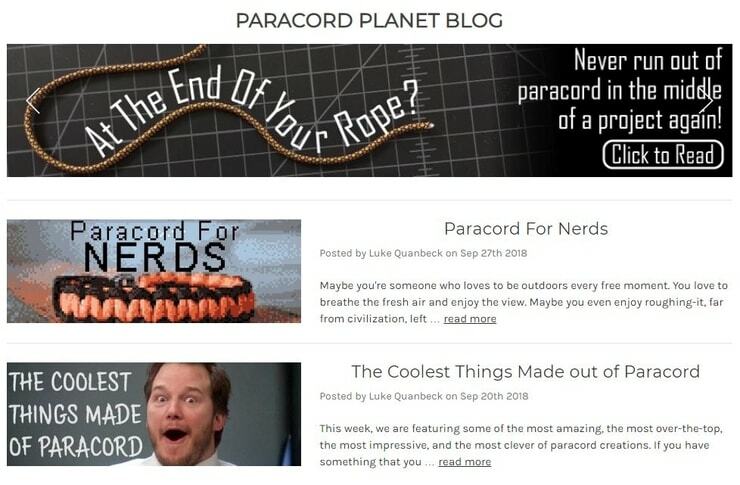 Stories about paracord users, whether they be survival cameramen, or weavers of tree nets. Tips for creating with paracord. News items such as new products, website updates, and upcoming promos. 1. We will soon be adding a "customer creations" page to our website. If you want your creations—or your small paracord business—to be featured, send us pictures of the things you make with our paracord and other products. 2. You get to decide what tutorials we make next. If you can spare 10 seconds, please take this one-question survey. We want to know what you think. Want to tell us something else? Leave a comment below. We read them all and value feedback from our community!